This tool will provide you with a dollar amount for a vehicle purchase you can truly afford, as well as the amount you’ll need to borrow to secure such a purchase. First enter an amount for a down payment and monthly payments you can realistically afford, as well as an expected interest rate. Follow this up with the loan term you desire in years, the value of your trade-in, and any cash rebate you can have added to your down payment. Click CALCULATE, and you’ll see the price of a car you can afford and the dollar amount for the loan you’ll need to secure. Shopping for a new automobile can be an exciting and emotional experience, especially when you get a look at a lot full of brand new toys and a salesperson gets you behind the wheel for a test drive. But if you want to be a responsible consumer, you need to temper your emotional attachment to the many mechanical and technological advances in the automotive world and think about how you can meet your wants and needs while staying in your price range. Of course, it's not always easy to find a vehicle that hits all the high points. Often, you'll find the perfect motor coach only to discover that the price is far outside your range. These days, the online arena certainly makes it easier to search for suitable options. Then again, you still might want to head to the nearest dealership for a test drive at the very least, and probably to purchase your vehicle, and this is where you can get into trouble with upgrades and extras offered by salespeople. In truth, sticking to your guns could simply be a matter of planning ahead. Here are some guidelines to help you find the automobile you're looking for without overspending. The first thing you need to do is set a price range, and this will require you to take a look at your current income and expenditures. It's important to understand how much you can really afford to pay on a monthly basis. 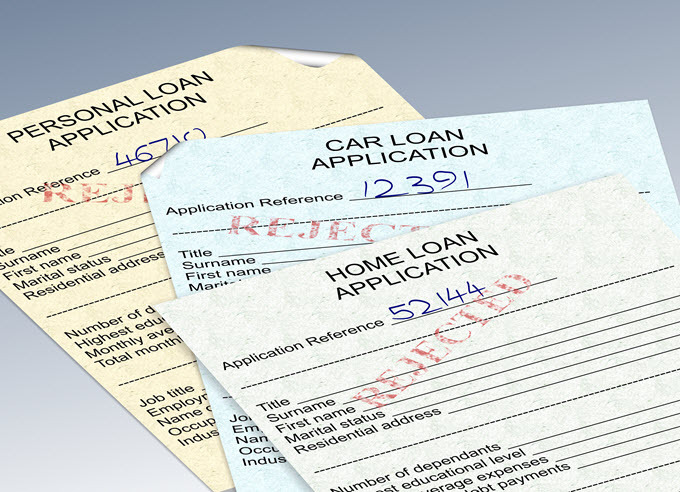 Of course, it may help to get pre-approved for an auto loan, but the truth is that even if you can get a decent loan thanks to good credit and a high-paying job, you might not actually be able to afford the monthly payments that come with buying a vehicle for the top amount you’ve been pre-approved for. If you're not so great at crunching numbers, consider downloading a mortgage calculator app for your smartphone. You can input numbers at the dealership and see exactly what your monthly bill will look like. This should go without saying, and yet, plenty of consumers head to dealerships where they know the prices will be out of their range just to "take a look." Unfortunately, this is a good way to end up purchasing a vehicle you can't actually afford. You already know you want that brand new Lexus, so why rub salt in the wound? There's no reason to tempt yourself unnecessarily and risk making a major financial blunder in the process. Any time you're searching for a tool, you need to consider how it will best meet your needs. You wouldn't, for example, grab a Phillips screwdriver when the job calls for a flat-head. So if what you need is a vehicle that can accommodate your family, what the heck are you doing looking at 2-seater convertibles? This is an extreme scenario, but the point is that you have to think about what you absolutely can't live without when it comes to purchasing your next automobile - otherwise you could end up giving it back in short order and suffering the financial consequences of getting it wrong the first time. Once your vehicular needs are met, it's a good idea to think about what you want and what you can afford to add on in the way of upgrades (sun roof, navigation, power everything, etc.) and extras like anti-theft protection (LoJack). These all come with a price tag attached and they can quickly add up, exceeding your means in the process. The beauty of online shopping is that with sites like CarMax, AutoTrader, Edmunds, Cars.com, TrueCar and CarsDirect you can peruse hundreds of new and used automobiles in your area without having to change out of your pajamas. This can not only give you a good idea of your options, but it could also help you find the vehicle you're looking for at a price that is well within your ideal range. You can then confirm the pricing is reasonable using KBB or NADAguides. If you're the type that likes to buy new but you don't want to face the sticker shock, consider the prospect of purchasing a certified pre-owned vehicle. These options tend to be just 1-2 years old, so you'll generally get a current model. And they're often coming off lease, so they have low mileage and little to no damage. In addition, the dealership will complete a full inspection and repairs to ensure you don't get a lemon. Plus, you'll get at least a partial warranty, and in some cases, a full one. The best part is that you'll pay significantly less than you would when you buy new. If you purchase a used vehicle without a warranty, look up its background using a service like CarFax or AutoCheck. If you happen to be a member of AAA, you might be surprised to learn that this roadside assistance provider has deals in place with many dealerships across the country to provide you with haggle-free pricing on automobiles. All you have to do is ask at the dealership and you can get a price that is a set percentage over dealer cost. If you want to get the best possible price on your vehicle purchase, it behooves you to ask for it. The dealership, of course, will try to get as much money as they can. But it's important to remember that they want to make a sale. And don't worry about undercutting - they will never, never allow a sale that would lose them money. Just focus on driving a hard bargain and you're bound to come to a price both parties can agree on. Equally important to haggling is being willing to walk away if you can't meet your financial goals. There are plenty of fish in the sea, as the saying goes, and your ideal vehicle is out there. You will find an automobile that meets your needs and fits in your price range - you just have to be patient and exercise due diligence.